I was taking a look on the UNESCO World Heritage site ( http://whc.unesco.org/en/list ), and realized that there weren't that many sites in Kurdistan. There were some of which I was really surprised they weren't regarded as World Heritage yet. 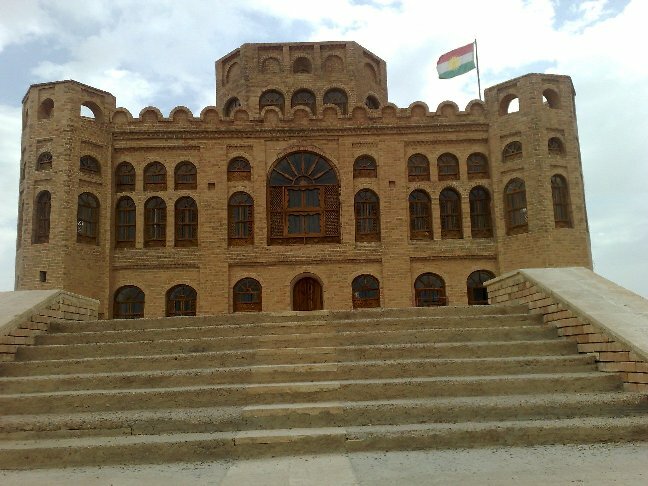 This one doesn't really belong to us, but is located in Kurdish Areas, one could say the same of the Great Mosque of Divrigi; this would make up for the famed Castle of the Kurds that's outside our territory :p .
Anyway, which ones would you like to see added to the list, and for which reasons? 1. 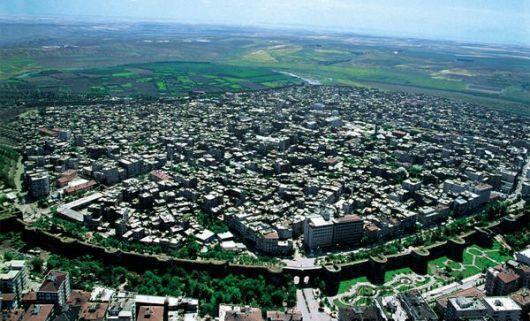 Diyarbakir Citadel: one of the longest walls on the planet, also has huge historical value, with various peoples having contributed to it. 2. Erbil Citadel: soon to be restored completely, similar to the Diyarbakir Citadel, possibly the longest continuously inhabited place on earth. 3. The City of Merdin: beautiful, and makes you feel like you've gone back in time. 4. Lalish perhaps? Unique village and pilgrimage site of an ancient religion. this is intresting debate, I wish someone could share more pics and information about those historical momentum of Kurdistan . I'm not gonna go all in-depth, because you can find everything you need at the Wikipedia or UNESCO page of the site. This was made in honour of Darius the Great; the inscription tells of the numerous battles he succesfully led his empire through, and of his life in general. An ancient Zoroastrian temple, dating back to the time of the Sassanids. It was one of the most important Zoroastrian temples, and harboured one of the three Royal Fires. 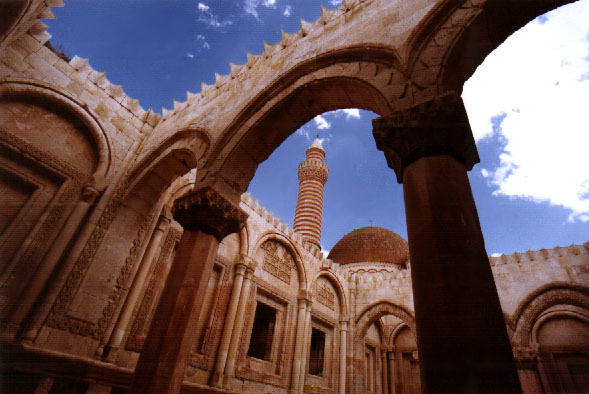 It also greatly influenced Islamic architecture. Statues built by Antiochus I aftering conquering the region. These do not only include himself among Greek gods, but also Armenian and Iranic gods such as Ahura Mazda. The heads were taken off the statues though, probably by religious fanatics. Feeling lazy today , I'll do the rest later. In Kurdistan there are 3 important citadels, they may seem similar at first, but all three have vastly different histories and looks. Amed, as all of Kurdistan, has seen a lot of different peoples come and go. At first it was ruled by the Hurrians and Mitanni, thereafter by various peoples such as the Assyrians, Armenians, Arameans, Romans, Byzantines and Persians. 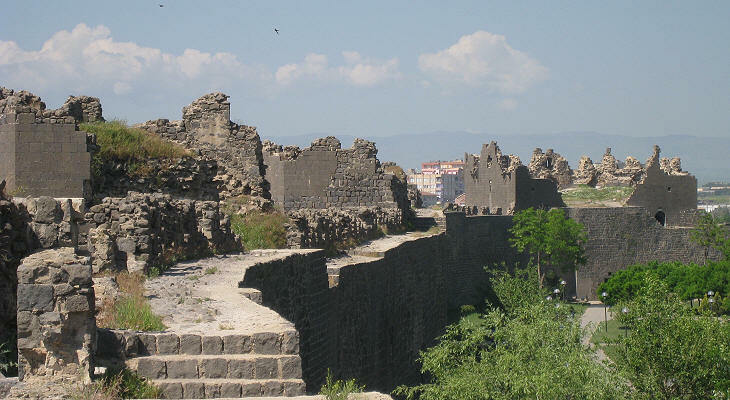 It's unknown at what time precisely the wall was initially constructed, but what we know is that almost every new ruler of Amed fortified, expanded or renovated something about the wall. 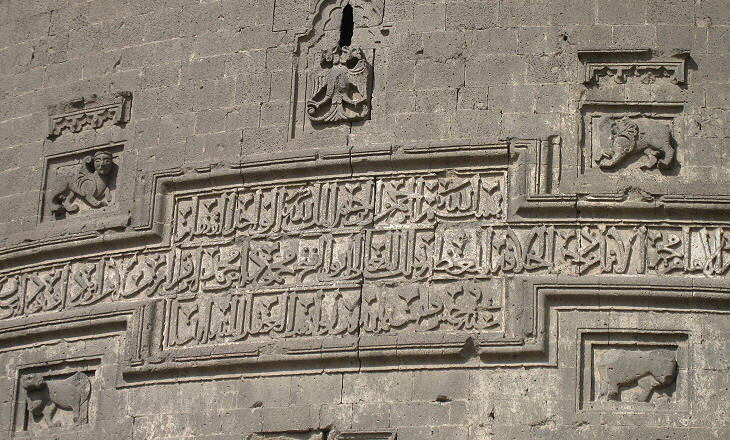 The wall, which was built with black basalt stone which is found in Amed (various other buildings in Amed are also built with the same stone), also has reliefs in it, depicting animals and writings. It's often thought to be the 2nd longest wall in the world, but that"s inaccurate, in reality it's about the fifth longest wall in the world; England, Iran, India and China offcourse have longer walls. Hawler Citadel is in stark contrast with Amed; while Amed's Citadel is dark and has been neglected somewhat (shown by the various unrestored pieces of the wall), Hawler Citadel is light of colour and in terrific state since it's being restored completely by the KRG. Hawler is thought to be the longest continuously inhabited city in the history of human kind, and as such, has also seen a wide variety of peoples. 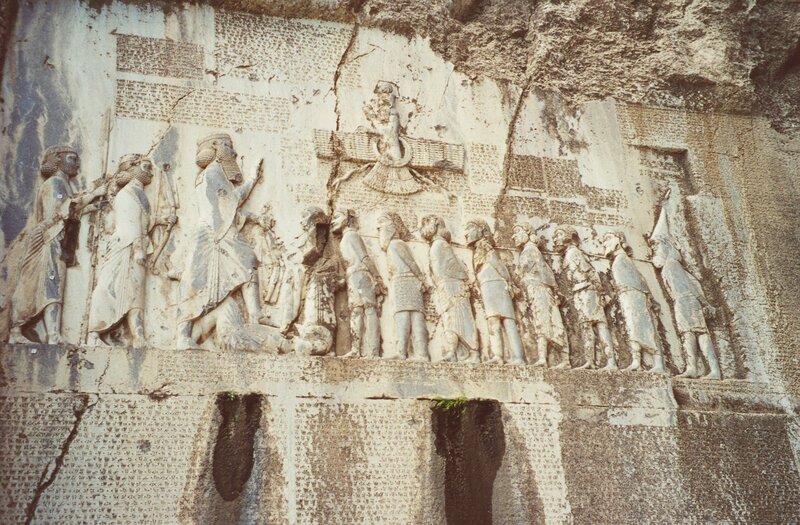 Certain Medean tribes also settled here, they would fight in the Achaemenid Army against the Greeks in the famed Battle of Guagemela, which is not far from Hawler. Influences from many cultures are seen in the wall, which stands on elevated ground (a tell), which causes it to form a majestic site when seen from the outside. Inside the Citadel are historical buildings and shops. Mubarak Ahmad Ibn Al-Mustawfi, a historical figure of Hawler, guards the entrance to the Citadel. Kerkuk was originally founded by the Gutians, before succumbing to its invaders. The Citadel however was built later, possibly by the Assyrians. This city is of great importance of the Kurds, and has greatly suffered under the tiranny of Saddam. Kurds and Turkmen were driven out, and their houses were destroyed. Nowadays a large part of the population has returned, and about 55% of the population is Kurdish, if not more, but many Arab settlers do not want to leave. Inside the Citadel are not only houses, but also historic sites, such as the tombs of various important religious figures such as Prophet Daniel. It's in need of restoration, which I'm sure of will happen once it's back in our control. That's it for now, enjoy the info and pics. P.S. : some of the pics are really big, just open them in a new tab and you'll be able to see them whole. Last edited by Zert on Fri Oct 28, 2011 10:35 pm, edited 1 time in total. Kurdistan is also home to some impressive buildings some dating back almost 3000 years, I'll be telling some about ethnical Kurdish castles this time around; but there are many others too. 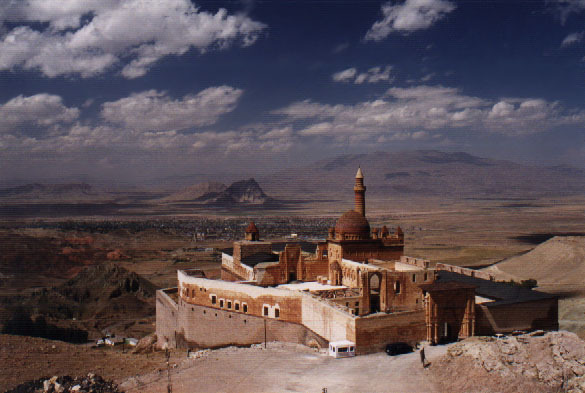 Ishak Pasha Palace is perhaps the most famous Kurdish historical building in all of Anatolia. During the reign of the Ottoman Empire, the bey of Beyazit, Colak Abdi Pasha ordered the building of the palace in 1685. However, it wouldn't be untill 1784 that it would be completed, by his grandson Ishak Pasha. It was also very strategically located: the Silk Road passed through the region, and it stands on top of a hill, with Bazid visible in the distance. Sadly, due to its proximity to other great powers at the time (Russians, Persians) the Palace had to endure some destruction, nevertheless it's still a marvelous sight to behold. The Castle of the Kurds is one the most marvelous remaining castles of the Middle Ages in the world. It started out as a small castle in 1031, built by the Emir of Homs for his Kurdish garrison. It wouldn't remain in Kurdish hands for long though, by the turn of the century it had already fallen into the hands of the Crusaders. It would remain that way untill the Mamluks captured the castle in 1271, and not long after that the Franks were driven away completely. Saladin besieged the Castle in an earlier period, but was unsuccesful in capturing it. This castle too sits atop a hill, and is located between the cities of Tripoli and Homs; thus rendering it a very strategic location. The nearby vallies were also very suited for agriculture. The Crusaders actually built most of the structure, as such you can't really call it a Kurdish castle. 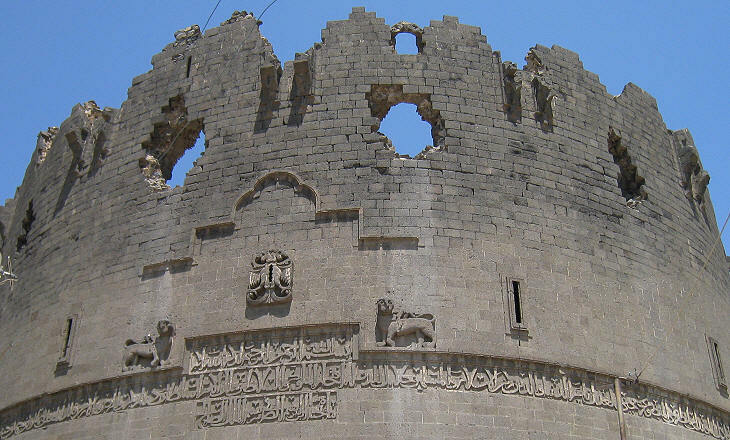 Still, the Kurds' connection to this structure remains in its name and as the first ones who built on what would ultimately become one the greatest castles ever built. Another relatively well-known Kurdish castle in Anatolia, this castle was constructed under guidance of a local Kurdish leader called Mahmudi Suleyman in 1643. Earlier structures had already existed though, parts probably even dating from the Urartian Kingdom. The castle is built on a big, outcropping rock. It is made out of black and white stone. Some of the structure has been destroyed by sieges, but originally it contained baths, servants' quarters, towers etc. It also contains some inscriptions and images of lions. It's located near another Urartian and later Armenian castle called Haykaberd. I talked about the Castle of the Kurds last time, which was first in Kurdish hands and then captured by Crusaders; well this Castle is kind of the opposite. The Citadel of Salah al-Din actually started out as a small defensive fortification of the Byzantines, known as Saone. The location was of great strategic importance, and already in ancient times this was known. The Crusaders would take this fortification in 1108 though, and it would remain in their hands for 80 years. They greatly expanded the structure, adding churches, tea houses and defensive structures such as walls and towers. All of this, combined with that it was surrounded by a stone moat, which you could only cross with a drawbridge, made it impenetrable. If only it weren't for Salah al-Din. Salah al-Din captured this castle in 1188, and therefore it was named after him. The Ayyubids would also add some structures, but ultimately, its importance would dwindle. So, just as the Castle of the Kurds; we have an important connection to the Castle, but it can't be called a truly Kurdish castle. There, I think I covered the most important Kurdish-connected castles. There are some others, but there either isn't a lot of information about them on the net, or they don't have a lot of surviving structure (often both), such as Dimdim Castle. If I've forgotten any, please notify me. Note: there is the Saladin Citadel of Cairo which I may still do, it was also built by the Ayyubids, but since it's located all the way in Cairo, I felt that the connection to Kurds wasn't that strong. 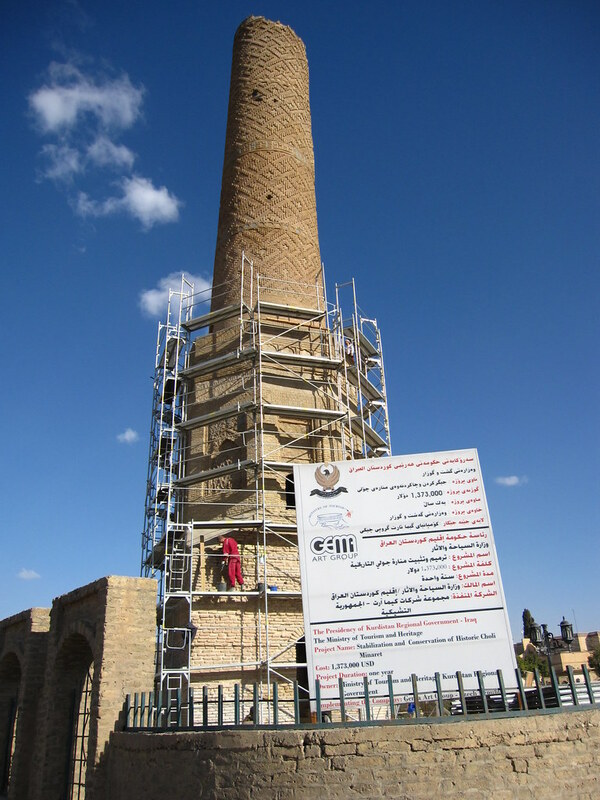 The minaret was built in 1190 by Muzaffar al-Din Abu Sa'eed al-Kawkaboori, the king of Arbil. Excavations conducted by the Iraqi Directorate of Antiquities in 1960, and in 1980, have uncovered the foundations of a large mosque to the southeast of the minaret, disproving the previously held belief that the minaret was part of the madrasa built by the same donor. The minaret is composed of a high octagonal base and a tall cylindrical shaft, with a balcony located between the base and the shaft. It is built of baked bricks. The base is decorated with two tiers of niches with pointed arches, two on each of the eight faces that are inscribed in rectangular frames. The balcony parapet is carved with twenty-four small niches. The access door to the minaret steps is on the eastern side of the octagonal base and leads top the balcony. From there a small door gives access to steps inside the cylindrical shaft that led to the second balcony now collapsed. The shaft tapers inward and is decorated with several bands of interlocking diagonal Hazar-Baf motifs that are separated with thin bands. Bosworth, Clifford Edmond. 1996. The New Islamic Dynasties. New York: Columbia University Press, 190-191. Last edited by alan131210 on Sun Nov 13, 2011 6:52 am, edited 2 times in total. Located east of Hawler, Khanzad Castle lies on Erbil-Shaqlawa road and is one of the archaeological sites in the city of Erbil. This bridge is erected over Khabir river to the east of the city. There are different stories or opinions concerning its construction, (Hamarteen) says it is Roman, (Asskeef) says it is Greek and one of the leaders of the great Alexandar AL- Makadoni his name was (Slowkas) ordered to erect the bridge and some of the archaeologists in the Iraqi General Directorate of Archaeology think it might be erected by one of the Badinan Sultans but it is certain that the new bridge is erected on the remains of the ancient one. We think that one of the Badinan princes renovated it and repaired what was destroyed from the bridge. There is a famous epic in the from of a song in the Kurdish language about the construction of the bridge. The length of the bridge is about (114M), the width is about (4.70M) the height from the water surface is about (15.50M)it is erected by carved stones and consists of a wide and high curve in the middle and other smaller curves on the sides totally they are five curves. The walls are built by carved lime stones and they are put together in a beautiful and decorated way by using lime for plastering the walls. The history of Dalal bridge construction can not be identified because there are no signs, statues and writings on the bridge to show its erection date. ( Pera Dalal) is an ancient name called by Zakho people, in some sectors they call it (Pera Mazen) mean the great bridge. It has another name which is ( Aabassi bridge) it is a new one named at the thirtieths from this century by an official order from the Mayor of Zakho at that time, the archaeologist (Conrad Brouice) mentioned it and visited it in 15th of April, 1909 under name of Khabir bridge. WOW.. BRAVO !!!!!! These all are amazing posts, all the pics and added explainations.. thanks a lot. Zert and Alan. Kurdistan IS beatiful country and I hope I will visit all the places I have seen in this forum. Sherwana Castle also known as Shirwanah Castle was built by King Mohammed Jaff and is located in Kalar, Kurdistan. It was build in 1734 and it still stands till this day. It is home to the Jaff Family, and can be visited for travelers. 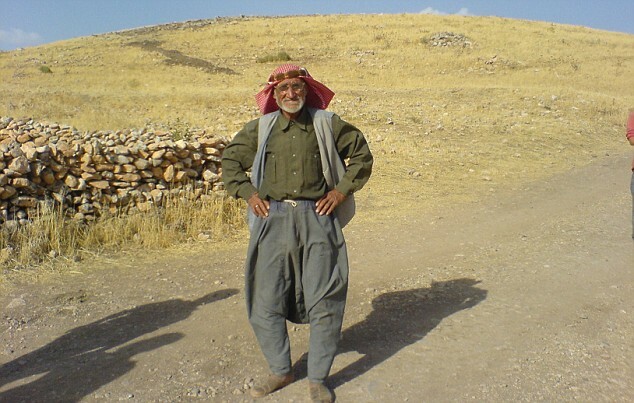 Jaff is a Kurdish Political last name that has been used for more than a thousand years and was given to its most important leaders and to Kings of Kurdistan. Kaher Jaff born in 1114 was one of the first Kurdish Kings of the provinces-Sheharzoor, Halabcha, Bani Khelan, Dizyash. He was the first to start a strong army and form the Jaff tribe that today has three million members. Other important leaders are King Mohammed Jaff, King Mahmoud Jaff, Dawood Jaff, and Sardar Jaff. 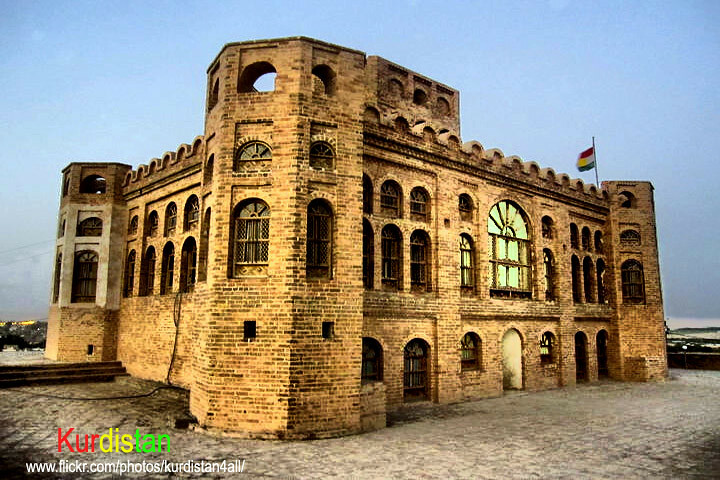 Sherwana Castle was build in 1734 in Kalar, Kurdistan and home to the Jaff Family. There are three million followers in the Jaff tribe. After more than nine centuries the Jaff family still remain the political first family. bleu ciel wrote: WOW.. BRAVO !!!!!! These all are amazing posts, all the pics and added explainations.. thanks a lot. Zert and Alan. Kurdistan is also home to many religious sites, sitting on the crossroads of civilizations (Persians, Armenians, Medes, Romans, Assyrians, Arabs, Turks and many others), it has also been influenced by many religions. The Kurds themselves are a good example of this; while most Kurds are Sunni Muslims, you also have Kurds that are followers of Shi'ism, Christianity, Judaism, Atheism, Alevism, Yarsanism and Yezidism (and perhaps a small number Zoroastrians too). The three religions mentioned lastly (Alevism, Yarsanism and Yezidism, together they're called Yazdanism) are thought to be indigenous religions, deriving from ancient religions such as Mithraism and Zoroastrianism (although Alevism also contains elements of ancient Turkic rites). The Pool of Sacred fish is a well-know site throughout the Middle East. According to the legend, Abraham angered King Nimrod due to his criticism of idolatry and because the King's daughter fell in love with Abraham. King Nimrod then had a huge pyre built in the city, on which he planned to burn Abraham. Abraham was indeed tossed into the flames, but due to divine intervention, the flames turned into water, and the wooden logs into fish. Since then it's revered as a sacred place, and it's said that anyone who harms the fish will fall ill.
Also, according to the legend, if one sees a white fish, the gates to heaven will open. The Pool of Sacred Fish is in the courtyard of the beautiful mosque of Halil-Ur-Rahman , which was built by the Ayyubids in 1211. That even the most ancient of civilizations tried to win sympathy from higher powers is apparant when one sees Girê Navokê. 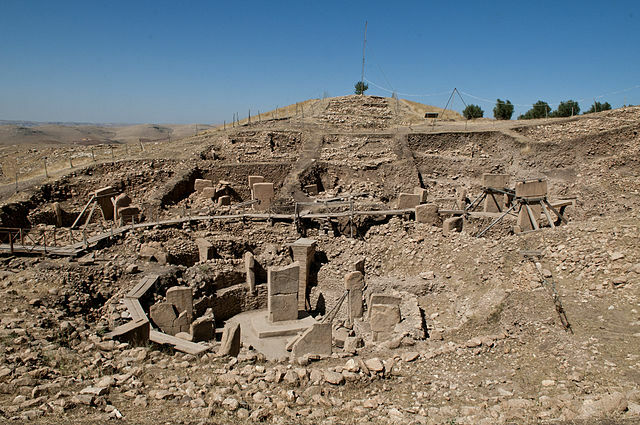 This 11,000-year-old temple was probably built by hunter-gatherers from the Neolithic and drastically changed the way in which historians thought about that time period. The funny thing is that this important archaeological site was not discovered by archaeologists, but by a Kurdish shepherd. In 1994, this shepherd was tending his flock when he noticed something in the sand, brushing away some of it, he discovered a large, stone slab. He would discover more of these, and realized that it was best to inform the people of the village of his finds, because, just perhaps, these could be of importance. What was unearthed was a large structure, mainly composed of T-shaped pillars, proably meant to ward off malificent powers. On these pillars, many organisms such as humans, foxes, donkeys, snakes and even animals which are not present in the Middle East anymore like lions are depicted. There's even some anthropomorphic figures (animals with humanoid characteristics). This has led some to believe that this was the legendary Garden of Eden, transcribed in the Bible. The sophistication and scale of the Temple baffled archaeologists, and it's currently being preserved by the Global Heritage Fund. Wow, wow, wow, triple WOW.. Thanks Zert. Somehow I have been curious about the original history of Kurd.. I think I need to print out the history part and read it,, cause it probably takes me long time to finish it, also I need dictionary.. cause lots of words I never seen before..
thanks again, and have wonderful day..